At Inspire, a customers mental health and well being is just as important to us as their physical weight loss journey, and we work hard to prioritise both and create a safe and secure environment you can feel relaxed in. 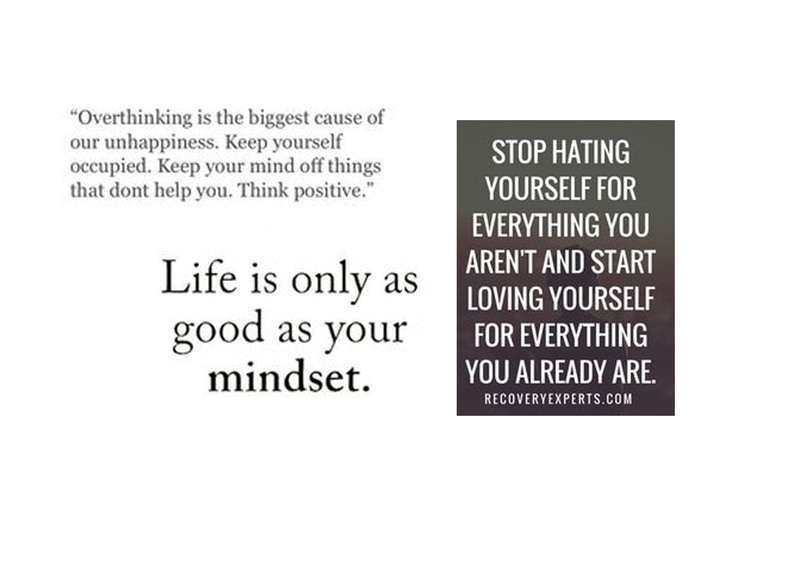 This weeks motivational Monday post reflects how looking after your mental health and cultivating a positive mind set is just as important as looking after yourself physically. In a newly digital age where it sometimes seems impossible to put down your phone and step away from the relentless comparison of social media, it can sometimes be hard to stop negative thoughts from overwhelming you. How you start your morning sets the tone for the rest of the day. Making sure that you have an attitude-boosting morning routine can put you in a good mood so that you can start the day off right. Try setting your alarm and getting up 15 minutes earlier, so you have time to sit with a cup of tea or coffee and wake up properly. Stretch yourself when you get out of bed, put music on whilst you are getting ready, treat yourself to your favourite beauty products, make time for a good breakfast. All of these are little feel good factors that you can do to help start your day off on a positive note. Try it now! Smile your hardest and don’t let it drop for a full minute. Smiling gives you an instantaneous attitude boost, as it releases endorphins and serotonin, also known as the feel good hormones.As noted by daringtolivefully, “It’s a lot easier to adopt a positive attitude when the chemicals being released by your body are conducive to well-being”. Mentally list three things in your mind that you will start thinking of that will replace any negative thoughts you have when they start creeping in. It can be anything, the last holiday that you went on, a trip you enjoyed, your favourite film, something that you are looking forward to. As soon as you catch yourself dwelling on unproductive thoughts, distract yourself and start thinking about one of these things. Although it may be difficult to start, the mind is incredibly powerful and you can train your thoughts, with practice in to a different pattern. Stop Expecting Life to Be Easy. The truth is, life gets tough at times. For all of us. It can even be painful. But you’re brave and resourceful, and you can take it. Know that sometimes things won’t be easy, and adopt the attitude that you have what it takes to deal with anything that life throws at you. Here’s to a healthy positive Monday!